Colorado history is filled with ancient civilizations, courageous explorers, hopeful miners, brawny homesteaders and a few rapscallions. Dive into the state’s colorful past at some of its historic sites. Before it was purchased by Historic Denver and saved from demolition in 1970, the grand Victorian mansion on Capitol Hill owned by the Unsinkable Molly Brown from 1894–1932 also served as the governor’s mansion, a gentlemen’s boarding house and a home for wayward girls. 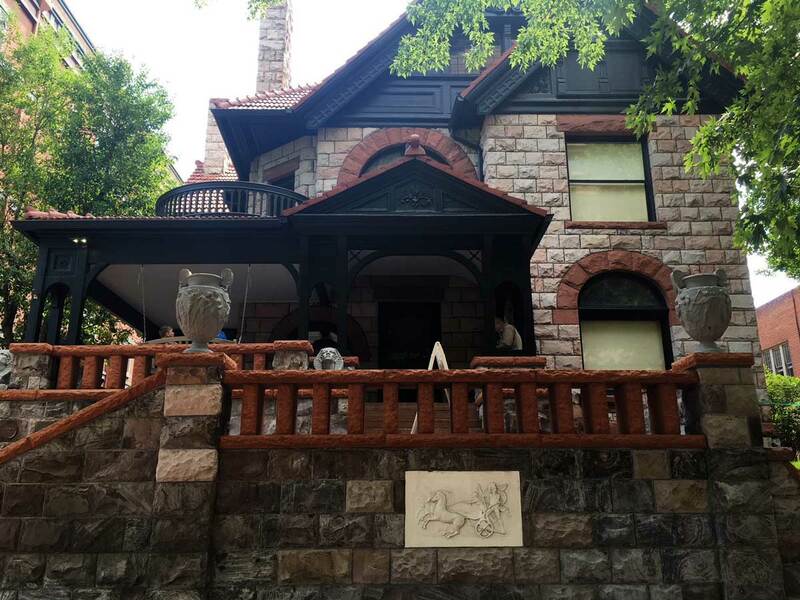 Tours of the Molly Brown House Museum, which was restored to its original glamour based on photos taken when she lived there, reveal what life was like for the sassy Denverite. 2. Was It Really Pike's Peak? Explorer Zebulon Pike never actually climbed Pikes Peak, the mountain that bears his name. He was, however, the first American to document its existence. Charged by the U.S. government in 1806 to explore what would become Colorado and its surrounding states, Pike found the waist-high snow too deep to make the 14,115-foot trek. Today, experienced summer hikers can reach the summit on well-marked trails, and anyone can scale its heights via a drive up the Pikes Peak Highway in Colorado Springs. Skiing in Colorado didn’t start as a recreational lark. In the late 1800s, more than 50 hardy mailmen crisscrossed the mountains on homemade wooden skis with a simple toe strap. These fellows braved harsh conditions, whiteout storms and avalanches, and many perished in the line of duty. The Colorado Ski & Snowboard Museum and Hall of Fame in Vail features exhibits about these alpinists and the origins of skiing and boarding. Those who travel along the remains of the Santa Fe Trail in southeast Colorado can, amazingly, still see ruts made by the wagon wheels of westward-exploring trappers, traders and homesteaders in the 1800s. Drive the Sante Fe Trail Scenic Byway and learn more about its legacy and the area’s heritage near the town of La Junta at Bent’s Old Fort, an adobe trading post that once served as a rest stop for those who traversed the route. The mineral-rich natural hot springs in Glenwood Springs have lured people to their healing waters since ancient times. The most notorious guest in the town’s modern history was gambler and gunman Doc Holliday, who came to the area in 1887 presumably to seek the water’s therapy for his tuberculosis. The Glenwood Hot Springs is now a favorite spa, pool and lodge for those who want to soak up its famous H2O and mountain scenery. In the Four Corners area of southwest Colorado, archeologists have found petroglyph engravings, pottery, looms and hunting and cooking tools made by the Ancestral Puebloans who lived there as far back as 1 to 1300 A.D. At the Anasazi Heritage Center in Dolores, visitors can see some of these relics and test out modern replicas, such as weaving materials and a corn grinder known as a mano. Given its location in the quiet, wide-open plains around Sterling in northeast Colorado, it’s hard to imagine the Overland Trail was once the most heavily traveled road in the country. From 1862–68, the route brought pioneers, gold seekers and entrepreneurs west looking to make their fortunes on this burgeoning frontier. At the Overland Trail Museum, hear the tales of these settlers in a period village’s blacksmith and barber shops, one-room schoolhouse and general store. Only three of the 12,000 Chautauquas that once peppered the U.S. remain today. The facilities, where people gathered for lectures, performances and concerts, were wildly popular in late 19th and 20th centuries. At the foot of the Flatiron mountains in the Front Range town of Boulder, the Colorado Chautauqua is as lively now as when it was founded in 1898. Films, concerts, forums, an exquisite dining hall, cottages, hiking trails and green spaces make it a hub of activity in a historic setting. It’s not widely known that nearly a third of the pioneers who helped settle Colorado in the late 1800s were black. These miners, ranchers, teachers, blacksmiths and lawmen were a major part of the community that ushered civilized life to the Wild West. The Black American West Museum in Denver — housed in the former home of Colorado’s first black female doctor — is dedicated to bringing the stories of these residents to life. The 1880s mining town of South Park in south-central Colorado, near Fairplay, bears no resemblance to the city of the same name in Comedy Central’s well-known cartoon. In the 1950s, a preservation-minded group saw the once-booming area fading away and asked the locals to scour their attics and barns for artifacts and relics from its past. More than 40,000 heirlooms and artifacts turned up and were used to recreate a town with 40 original buildings that imitate life is it was at the end of the 19th century. Photo: Courtesy of the Molly Brown House Museum.